Sultra's The Bombshell Curling Iron will change your hair, your beauty routine and your life. It features Advanced Care ceramic technology that generates far infrared rays that mends and defends your hair while you style with constant 380 degree F heat, smoothing the cuticle and locking in your look. The Dual-Heater system means you get even heat distribution all over the barrel with no "cool" spots found on most big barrel curling irons that create uneven styling. 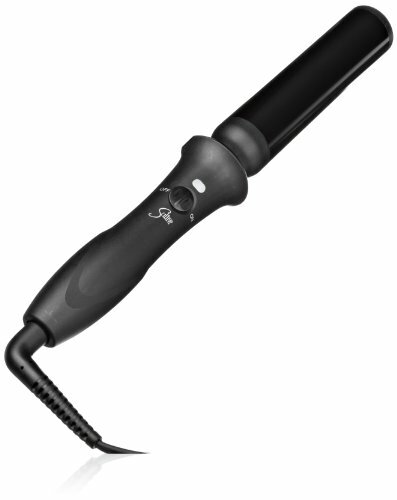 This ceramic curling iron is perfect for color-treated, dry or damaged hair. It's easy to use - just wrap, release, repeat! The Bombshell clipless curling iron curls in half the time of traditional "clip" irons with no clip lines. Features an internal auto shut-off safety switch, Universal Voltage, 9 foot, no-tangle swivel cord and includes a complimentary styling glove and iron pad. Sultra provides a two-year manufacturer's warranty. If you have any questions about this product by Sultra, contact us by completing and submitting the form below. If you are looking for a specif part number, please include it with your message.